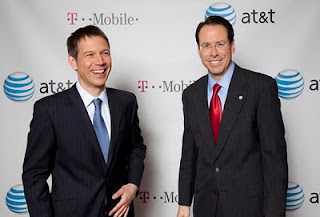 Six months have passed since the AT&T deal to buy T-Mobile was announced, see link here. I was confident the deal would go through. After all, the Federal Communications Commission (FCC) does a horrible job at preventing monopolies/oligopolies. I, along with 44,000 thousand other people (that has to be a record), filed a public comment on the FCC page for filing 11-65, "In the Matter of applications of AT&T Inc. and Deutsche Telekom AG for consent to assign or Transfer Control of licenses and Authorizations." I strongly urge the FCC to not allow the acquisition of T-mobile USA by AT&T because it would negatively impact the cell phone industry for consumers with higher prices and less innovation. The higher prices and innovation will be a direct result of decreasing the number of national carriers from 4 to 3. AT&T can say what they want about regional carriers (i.e., Metro PCS), but for most people the regional carriers are not a option since they do not have national coverage and their list of available phones does not include the most wanted phones. And with Sprint having "shaky" earnings the last couple of years, we might be left with only two national carriers. 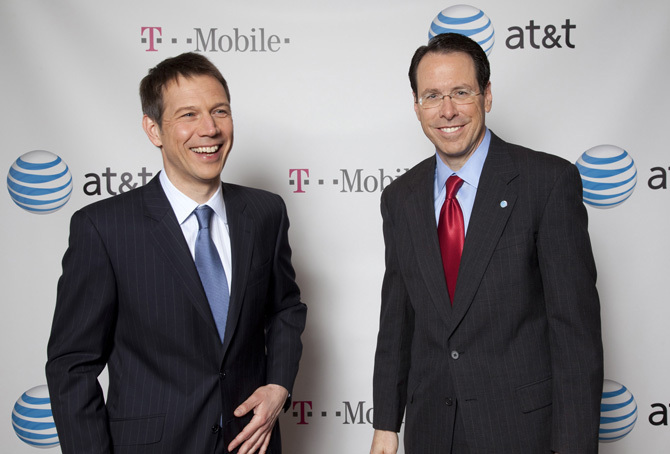 T-mobile, as the fourth largest carrier, came up with innovative ways to reach customers. They introduced the MyFavs plan and gambled on Android plus they kept monthly plan prices relatively low. In contrast AT&T, has relied on their iPhone deal, to gain customers and profits, yet they did not fully resolve the dropped calls issue, especially for people running without a 3G band at the moment. AT&T with all of their financial security compared to Sprint and T-mobile has lagged in creating their 4G network. I would respect a company more if looked 10 years in the future rather than 3 months at a time. FCC, please do not allow AT&T to purchase T-mobile USA. Thank you for your time. Will the deal go through? Most likely, yes. However, many concessions will have to be made (e.g., AT&T giving spectrum to competitors). The best part of this whole fiasco has to be the propaganda that AT&T is putting out. Like when they said that the "merger" would be creating jobs due to the aggressive 4G LTE expansion proposed after the deal is done. Carefully worded, I guess they forgot about all the T-Mobile employees that would be losing their jobs. Has anybody every heard of a merger in which the net outcome is more jobs?